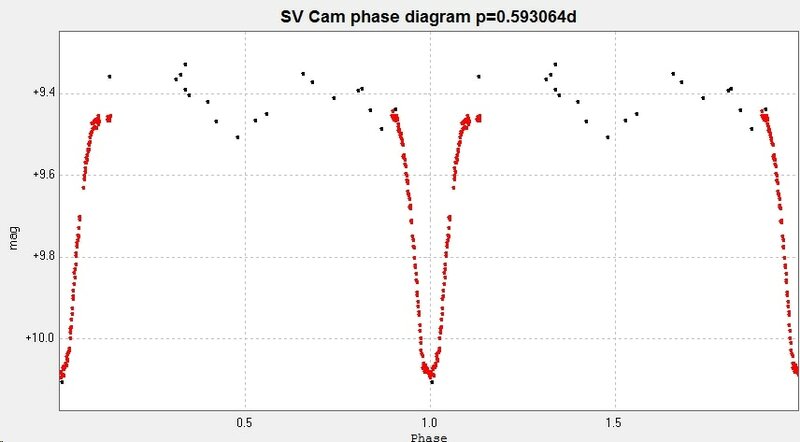 Light curves and phase diagrams of the EA type eclipsing binary SV Camelopardalis / SV Cam. ​Light curve generated from 20 images taken with the Bradford Robotic Telescope Cluster Camera between 2014 October 13 and 2016 October 1. ​On 23 December 2016 I observed the following primary minimum from Somerby Observatory with the 2" Titan, with the corresponding HJD time of minimum. ​Both sets of results were combined into the following light curve and associated phase diagram. 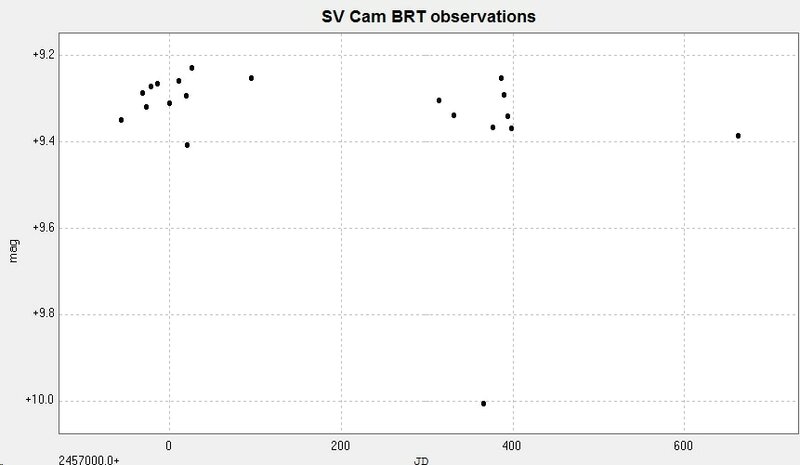 The BRT results in black and the 2" Titan results in red. 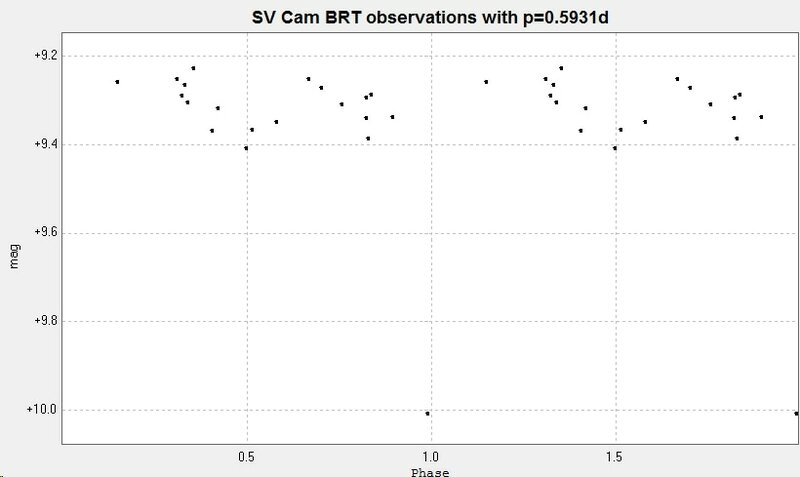 The BRT results were arbitrarily reduced in brightness by 0.1 mag to make them more consistent with the 2" Titan results. 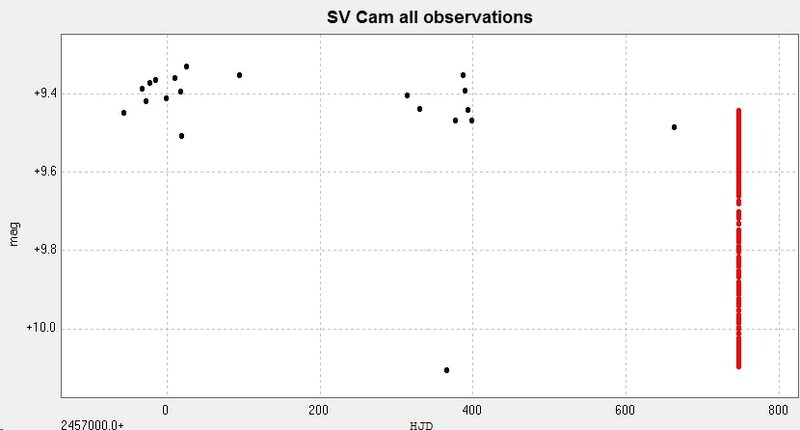 ​SV Cam is a complex system; variations in the period suggest a third body while variations in the shape and depth of the eclipses suggests starspot activity. 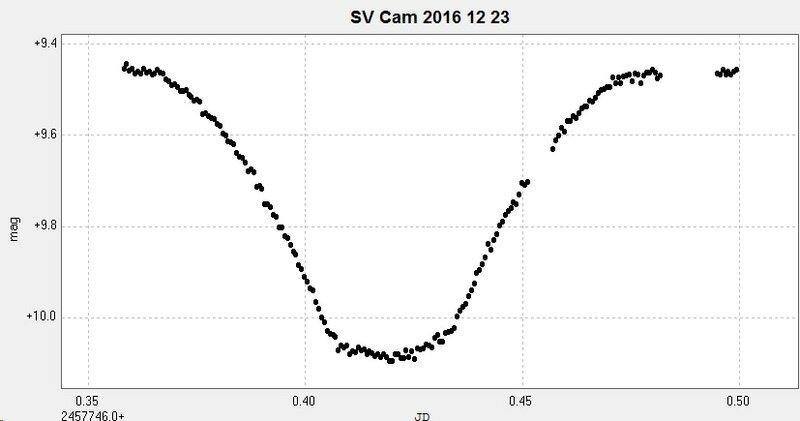 Direct Evidence for a Polar Spot on SV Camelopardalis Jeffers, S.V. ; Collier Cameron, A.; Barnes, J.R.; Aufdenberg, J.P.; Hussain, G.A.J.